The OHSAA/NEDAB announced the seedings and pairings for the 2019 OHSAA Boys Basketball tournament today. 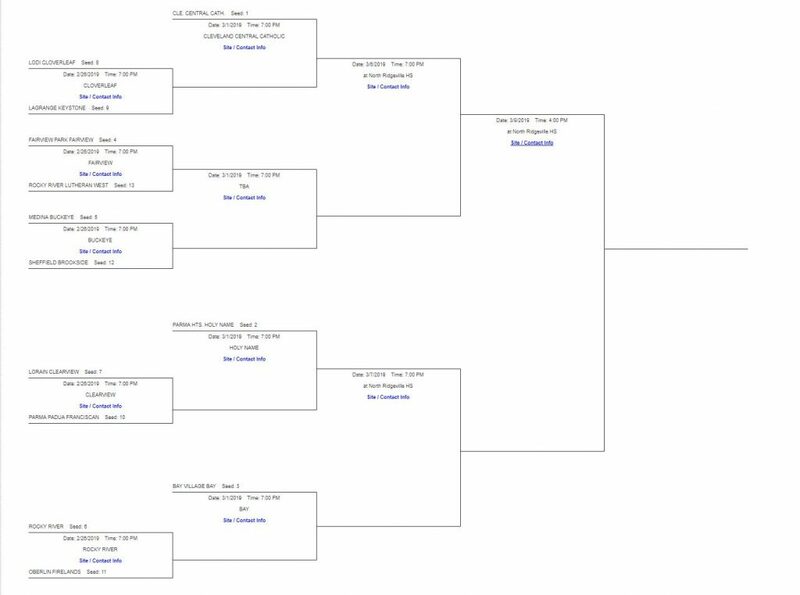 Clearview is the #7 seed in the Division II District at North Ridgeville. The Clippers will host #10 Padua in a first round tournament game on Tuesday, February 26 at 7 p.m. at Clearview. The winner will advance to face #2 Holy Name at 7 p.m. on Friday, March 1. The district champion will advance to the Bowling Green regional tournament.